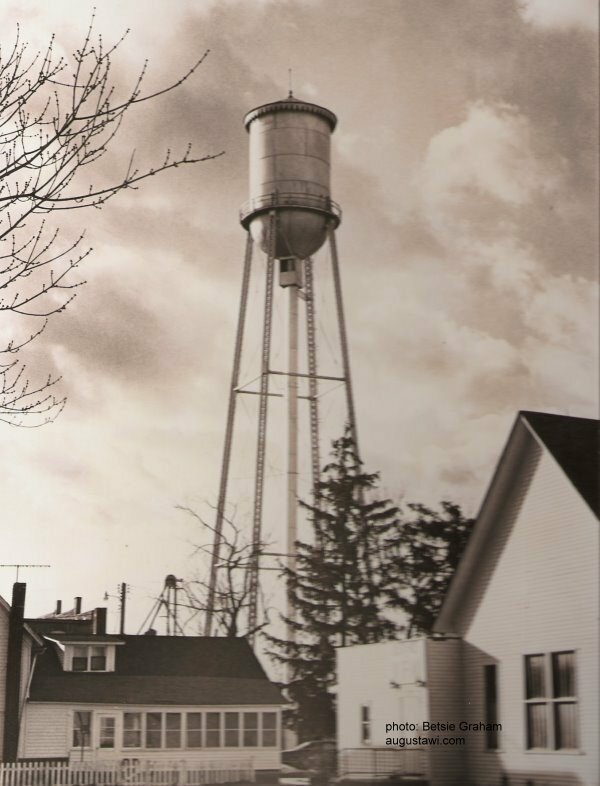 This photo of the water tower was taken circa 1979. The tower was built circa 1930. Augusta Wisconsin Water Tower circa 1979 - this Watertower was located on Stone Street just behind what is now the Augusta Library. Water Towers change. See Augusta's current Water Tower.